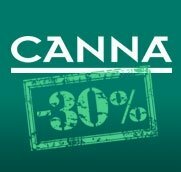 The Plant, after 20 years preserving best cannabis genetics from all over the world, and produced seeds for some of the best seedbanks, has decided to present their own cannabis seedbank. The Plant Organic Seeds is a cannabis seedbank producing all their strains within organic growing-methods, thinking about the medical future of users and growers. All seeds by The Plant organic Seeds are produced using cuttings from mother-plants, so the offspring will be always the same. This way the original cannabis strain is kept intact. During the whole seed breeding process, only organic nutrients are used, what actually guarantees a superior product quality. Once harvested, seeds are dried and stored meticulously, keeping the atention on humidity levels, keeping the seeds in optimal conditions to asure a perfect drying stage, and also improving the germination ratio. Once seeds had been classified, and all those that don't meet the standards discard, all seeds are submitted to short-wave UV lightto avoid pathogen proliferation. The packaging system of The Plant organic seeds selects, counts, and packs every strain in a unique place, what avoids any possible error along the process that may derive in a woring labeling. The Plant Organic Seeds Originals: With unknown genetics of new generation. 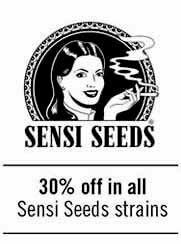 The Plant Organic Seeds Permanents: With strains from elite clone collection. 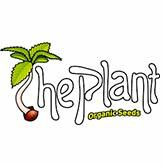 The Plant Organic Seeds Organics: Versions of mitical strains grown organically. The pLant Organic Seeds sells their strains in 3-seed, 5-seed, or 10-seed seedpacks, all of them feminized. 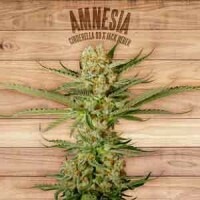 Amnesia by The Plant Organic Seeds is a version from the most popular strain in Holland's coffee shops, and most of Europe. Amnesia seeds are produced organically, and show its value since the early begining of growth, until the end of the growing cycle, where the yields, and quality of the harvested product reaches a top shelf standard. This crossing Cinderella 99 x Jack Herer is probably one of the best strains that can be grown indoors and outdoors. 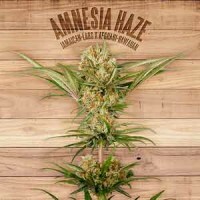 Amnesia Haze seeds are another distinguished member form Permanents Collection by The Plant Organic seeds. This plant has been selected for its large yields and sativa effects. The genetic is a 4-way cross between some of the best strains worldwide, and is already a legend, being a great cure for users suffering from depression, headache, and premenstrual pain. Banana Split seeds by The Plant Organic Seeds seedbank, are the third strain added to Originals Collection, and also one of their most popular strains. 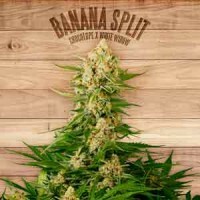 Banana Split marijuana strain is born from a Chocolope x White Widow cross, what creates a mostly sativa hybrid, which flowers in 9 weeks indoors, sourcing flowers with banana taste and a fruity smell, with an energic and creative effect. 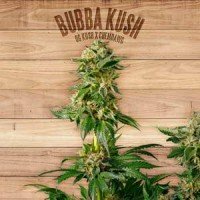 Bubba Kush is one of the cannabis strains with most fans, due its incredible taste, aroma and quality. The Plant Organic Seeds got this precious Bubba Kush clone thanks to a friend, and has kept it for years due its excellent resin quality, and fower's volume. This OG Kush x Chemdawg cross finish its flowering cyle in 8 weeks, filling your dryers with solid buds coated with resin. 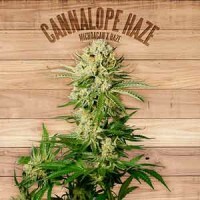 Cannalope Haze marijuana strain from The Plant Organic Seeds is original from DNA Genetics, who toke a clone from the original strain and brought it from Holland to Barcelona. From that clone The Plant Organic Seeds decided to produce organic feminized seeds, that produce female plants only, with 9 weeks flowering period, large compact-flowers, ideal for resin extracts. this strain is included in Permanents Collection from this seedbank. Cheese is one of those genetics, with underground origin, that appeared thanks to many effords of growers in the shade, looking for a superior strain, very appreciated by users (so easy to sell in the black market). 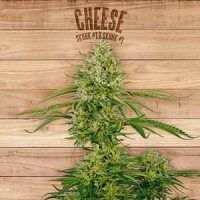 The clone of Cheese was gifted to The Plant Organic Seeds by a friend from the Basuqe Country, who selected this phenotype for its great aroma. Taking this clone, a backcross has been made to come out with the Cheese feminized seeds grouped in the Permanents Collection. 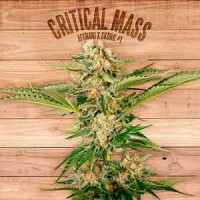 Critical Mass seeds couldn't be set apart from Permanents Collection by The Plant organic Seeds. This marijuana strain, got more tha 10 years ago, was kept since then, for its great characteristics. Critical Mass cannabis plants became popular in-between growers worlwide, and also tokers, for its great yielding capacities, ease of growth, quick flowering time and unbeatable taste. If you have never grown Critical Mass this is your chance to discover a new world. Kandy Kush seeds by The Plant Organic Seeds are produced using the original clone of this strain, gifted by DNA Genetics. Kandy Kush marijuana buds are popular for its quality, size and medicinal effect to combat stress and solve pain. Kandy Kush has been added to Permanents Collection for being an special plant, that you will never let go. Kinkanna seeds are born from a crossing OG Kush x Tangie, a sign of a true potential of this strain from Orginals Collection by The Plant Organic Seeds. This strain receives its name in honor of Kin Kan, a japanese fruit with citrus taste so characteristic. Kinkanna marijuana, with its indica character, quick flowering time, citrus taste, and euphoric effect will make every single grower drool. Nicole seeds by The Plant Organic Seeds are a four-way hybrid cross that will amaze all growers, specially those who like producing their own resin extracts. 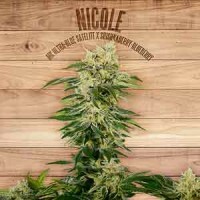 Nicole cannabis strain is born from a collamb with Marimberos, what actually brought a super powerful indica, quick flowerer, with fruity flavours.